The Mauser design, the G41(M), failed. Only 6,673 were produced before production was halted, and of these, 1,673 were returned as unusable. Most metal parts on this rifle were machined steel and some rifles, especially later examples, utilized the Bakelite type plastic handguards. Both the G41 (Mauser) and G41 (Walther) models, due to the requirement of not tapping the barrel to operate the gas system, used a mechanism known as the “Bang” system (after its Danish designer Søren H. Bang). In this system, gases from the bullet were trapped near the muzzle in a ring-shaped cone, which in turn pulled on a long piston that opened the breech and re-loaded the gun. This system is in contrast to the more common type of gas-operated system, in which gasses are tapped off from the barrel, and push back on a piston to open the breech to the rear. These rifles suffered from gas system fouling problems. These problems seemed to stem from the overly complex muzzle trap system becoming excessively corroded from the use of corrosive salts in the ammunition primers, and carbon fouling. The muzzle assembly consisted of many fine parts and was difficult to keep clean, disassemble, and maintain in field conditions. The rifle was redesigned in 1943 into the Gewehr 43, utilizing a gas system somewhat similar to that on the SVT-40 and a detachable magazine. 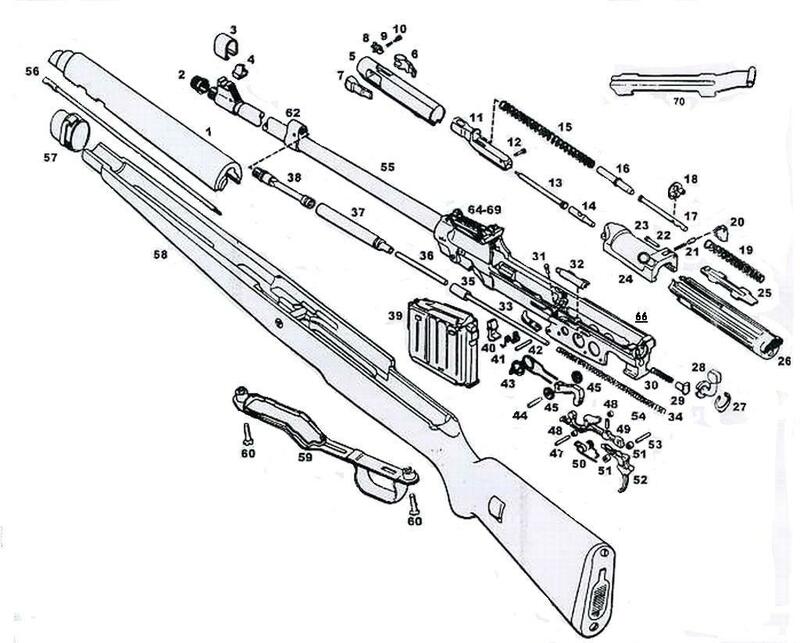 The Walther design was more successful than the G41(M) because the designers had simply ignored the last two restrictions of the original requirements – 1) the rifles were not to have any moving parts on the surface and 2) in case the auto-loading mechanism failed, a bolt action was to be included. The simpler, sturdier design and mechanism of the G43 made it lighter, easier to produce, more reliable and also much tougher than the Gewehr 41; elite German mountain troops would use them as ladder rungs during climbing. The addition of a 10-round detachable box magazine was an improvement over the fixed box magazine of the G41. The G43 was replaced by the K43 in 1944 by. The K43 was identical to the G43 in every way except for the letter stamped on the side.